From our mouthwatering entrees and appetizers to our catering menu and generous selection of traditional Indian food specialties, Thali of India is perfect for those looking to experience authentic Indian cuisine in a relaxed, welcoming setting. Learn more by clicking any of the thumbnails below. At Thali of India in Rochester NY, we go to great lengths to provide our customers with the most authentic Indian cuisine anywhere in the area. Our recipes have been passed down for generations and we’re committed to using only the freshest, healthiest ingredients in our food. Stop in today to try our popular lunch buffet, or get in touch for information on catering, specials and more. 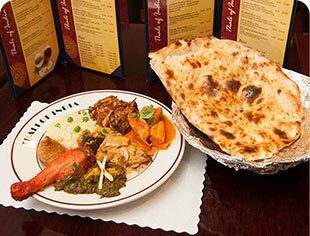 Whether you’re joining us in our dining room, placing an order for carryout or having your next event catered, Thali of India is proud to be known as one of Rochester’s most popular places for authentic Indian food. 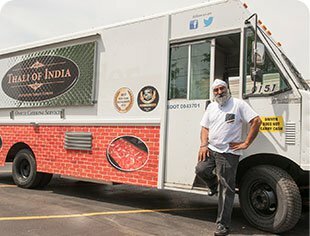 Makahan Singh’s recipes have been recognized by some of the area’s most respected publications, with a menu that features an extensive range of culinary creations for those looking to explore. 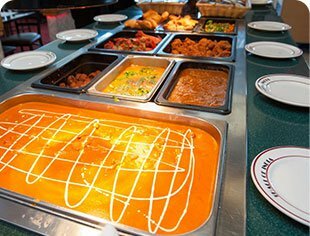 Our daily lunch buffet is perfect for those new to Indian food, and of course we’re always here to answer your questions or help you choose.